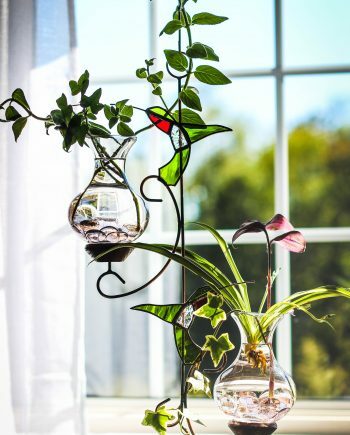 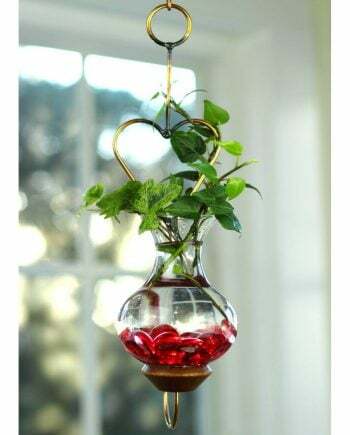 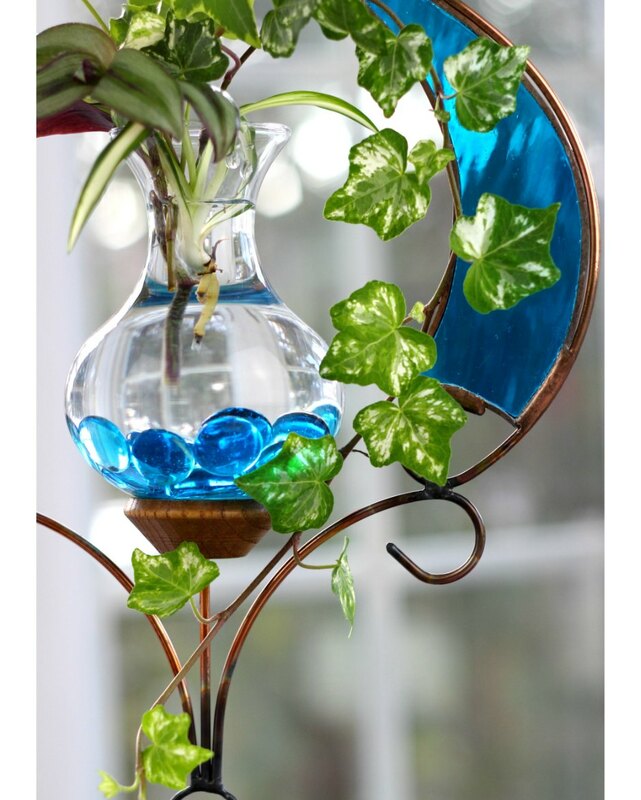 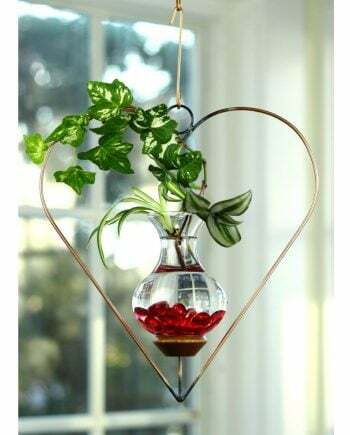 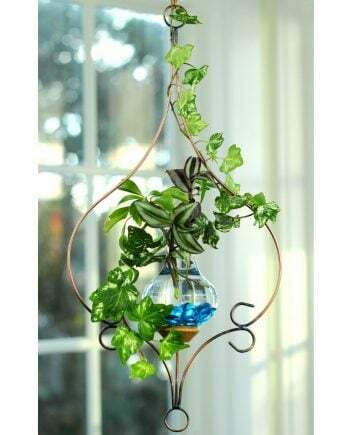 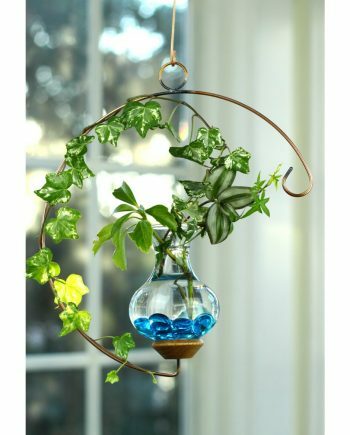 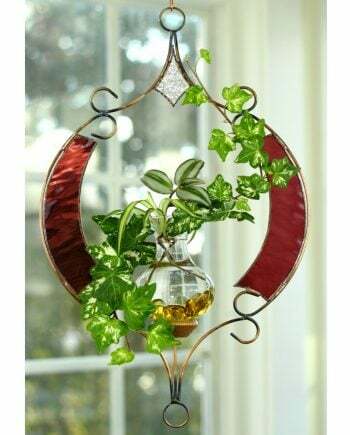 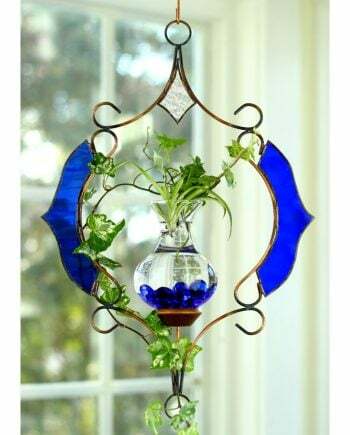 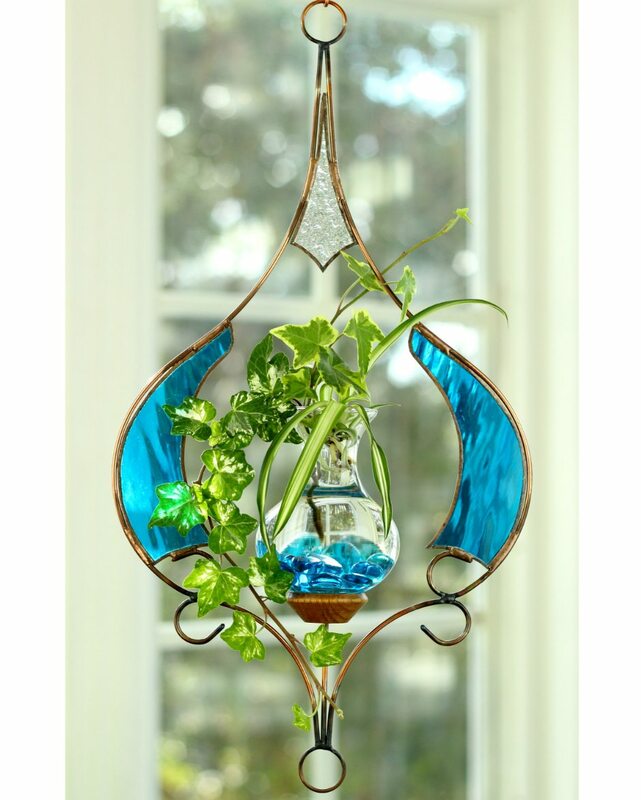 Our Teal Stained Glass Hanging Water Garden™ /plant rooter is one of our most elegant shapes. The beautiful hue of the teal stained glass that we use shines brilliantly in the light when hanging in a window. 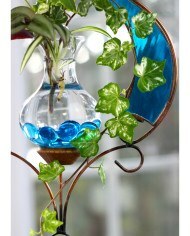 This design has smooth distinctive lines that give it a beautiful look for any room. 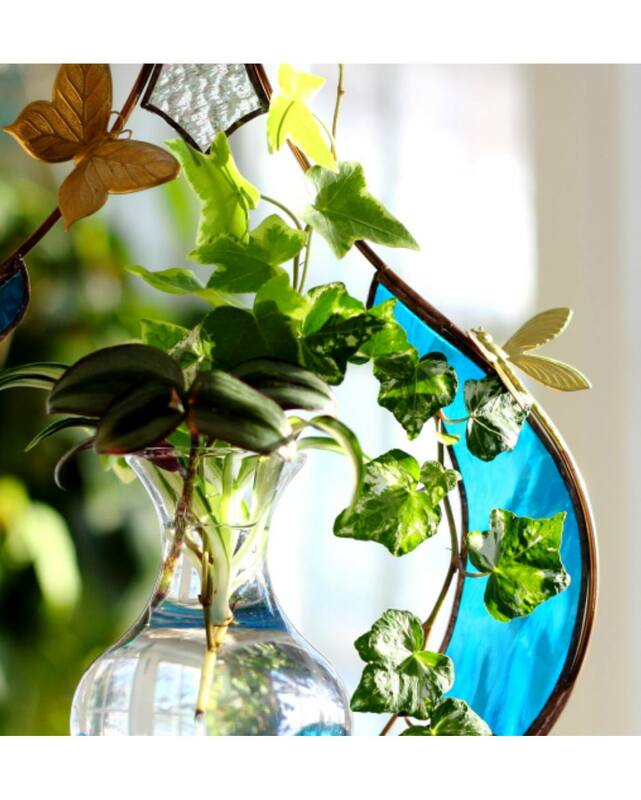 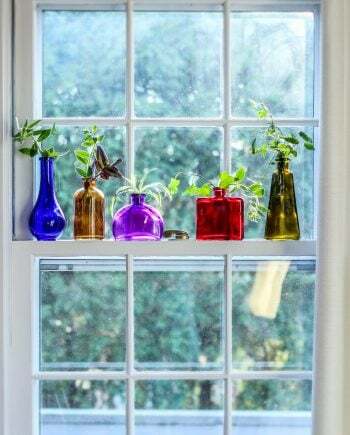 A wide verity of plants look lovely with this shape. 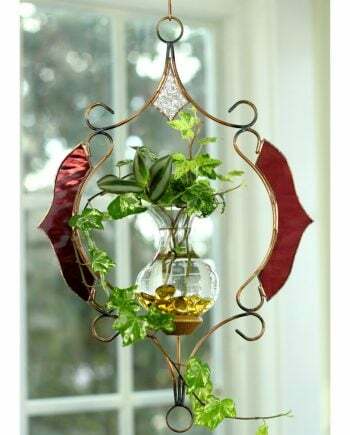 The design measures approximately 10 inches wide by 19 inches long and comes with a 14 inch long extension hook. 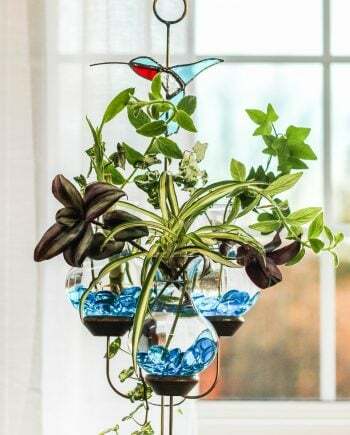 We include free live plants to get you started. 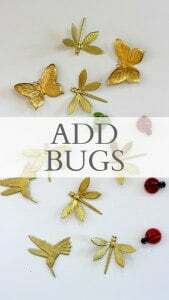 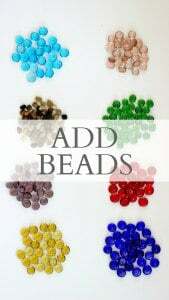 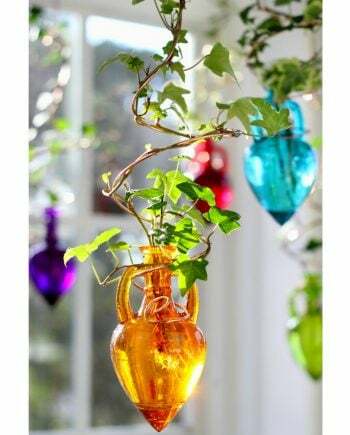 Go ahead – add some colorful glass beads (as shown in the picture), or a brass butterfly, dragonfly or any of our decorative magnets, see directly below. 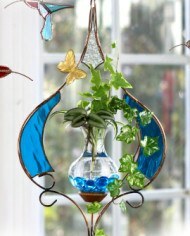 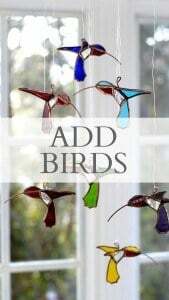 This design also looks stunning when grouped with a colorful stained glass hummingbird (Also below).